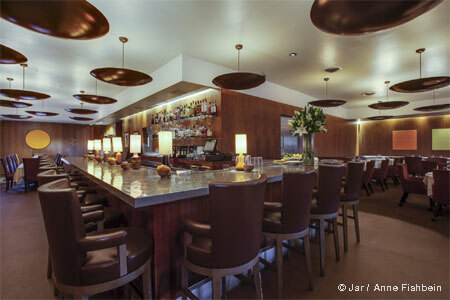 Continental cuisine a Kelly Wearstler-designed setting at Avalon Hotel Beverly Hills. 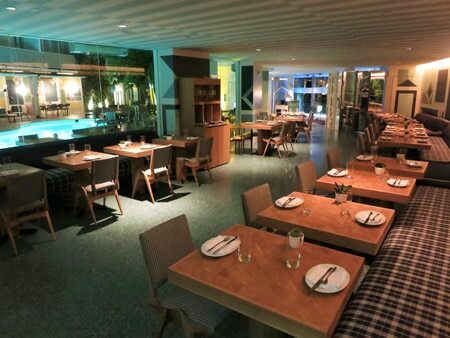 : Designed by Kelly Wearstler, Viviane at the Avalon Hotel Beverly Hills features a breezy, retro-inspired setting with seating indoors and along the pool. Restaurateur Stéphane Bombet and chef Michael Hung have parted ways with the restaurant, but the kitchen will continue to serve Continental cuisine. Dinner offerings might range from salmon with polenta, mushrooms and cabbage to roasted Mary's chicken with harissa, confit piquillo peppers and tzatziki.